Author Patti LaBoucane-Benson and illustrator Kelly Mellings will read from their award-winning book, The Outside Circle: A Graphic Novel on Tuesday, Sept. 26, at 7 p.m. in the Ganong Hall Lecture Theatre. In this graphic novel, two Aboriginal brothers surrounded by poverty, drug abuse, and gang violence, try to overcome centuries of historic trauma in very different ways to bring about positive change in their lives. 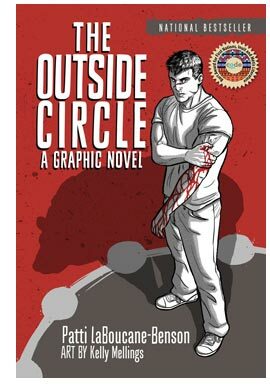 Powerful, courageous, and deeply moving, The Outside Circle is drawn from the author’s 20 years of work and research on healing and reconciliation of gang-affiliated or incarcerated Aboriginal men. The Outside Circle is the recipient of CODE’s 2016 Burt Award for First Nation, Inuit and Métis Literature.